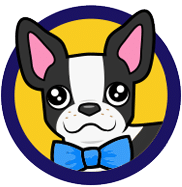 Bgo Bingo | Get 10 FREE Spins, No Deposit Required! Play now at Bgo and you will instantly receive 10 FREE SPINS with absolutely no deposit required. The best part of this offer is that you get to keep what you win, no card details are required to claim your spins (you just have to verify your phone via SMS), plus if that wasn’t good enough already, there are no wagering requirements attached to this offer. In short, this offer is superb and we cannot see any downside! Alongside your no deposit welcome offer, you will also receive a choice of two bonuses when you first fund your account. The first option is a 100% match bonus worth up to £200 in free play bonus funds. Or, if you prefer, you can opt for up to 50 free spins (1 free spin per £1 deposited) by using the code 50FS. Once again there are no wagering requirements attached to these free spins! £20 Bingo Bonus: Make your first £10 deposit on the bingo section of the website using bonus code BINGO and you will get £30 to play. Please visit the official site for full offer T&Cs. Up To 50 Free Spins: As mentioned above if you make your first deposit of £10 on more using the code 50FS you will be granted 1 free spin for every £1 you deposit up to a maximum of 50 free spins. 7-Days Free Bingo: New players will gain access to the Beginners Luck room once they have spent just 1p on bingo tickets. Inside you will be able to play free games for real cash prizes for a whole week. Bingo Linx Jackpots: In 2015 Bgo Bingo joined the Virtue Fusion network, as such they can now provide some even larger games with over £500,000 in jackpot prizes dished out each month. Bgo provides a superb mobile bingo app. The app is compatible with a massive range of Android and iOS devices. This means you can play from your iPad, iPhone, Android smartphone or tablet. In short, if you have a modern phone or tablet you will be able to play all your favourite games at Bgo. 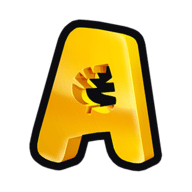 The app provides not only bingo games, but you will also get access to the other sections of the site including Vegas (casino games), slots games and Macau (live dealer games). In June 2015, Bgo ditched their own software and relaunched again using Virtue Fusion/Playtech. The big advantage of this is that they increased their selection of games considerably and due to pooling the bingo games with other Virtue Fusion sites, the prizes up for grabs are bigger. 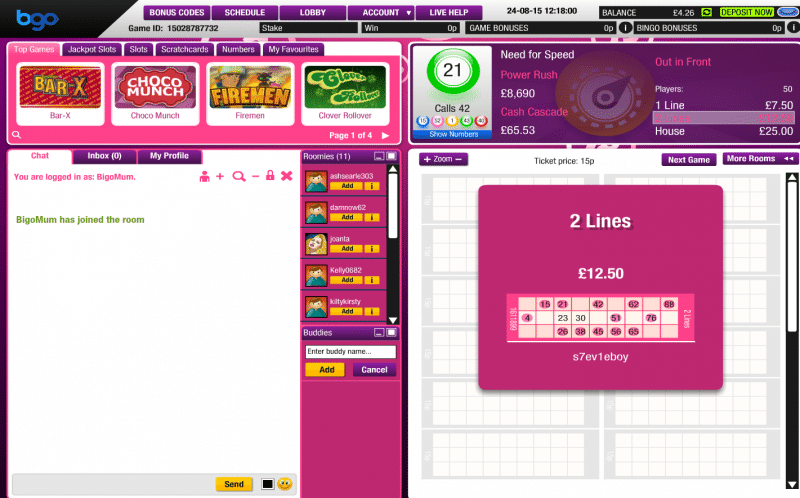 You will find lots of different game variations, including 75, 80 and 90 ball bingo. There are also some unique variations you won’t find in many places like speed bingo and Deal Or No Deal Bingo. Tickets also start from as little as 1p each so it won’t break the bank to get started. Finally, there are some decent Bingo Linx jackpots with prizes of up to £5000 up for grabs. In the lobby, there is also a section called ‘Bgo World’, here you will find 6 exclusive rooms for Bgo Bingo players only, including the Beginners Luck room which provides new players with 7 days of free games for real money prizes. When it comes to slots, Bgo excels in a big way, you will find virtually every big named slot game that you could ever think of. 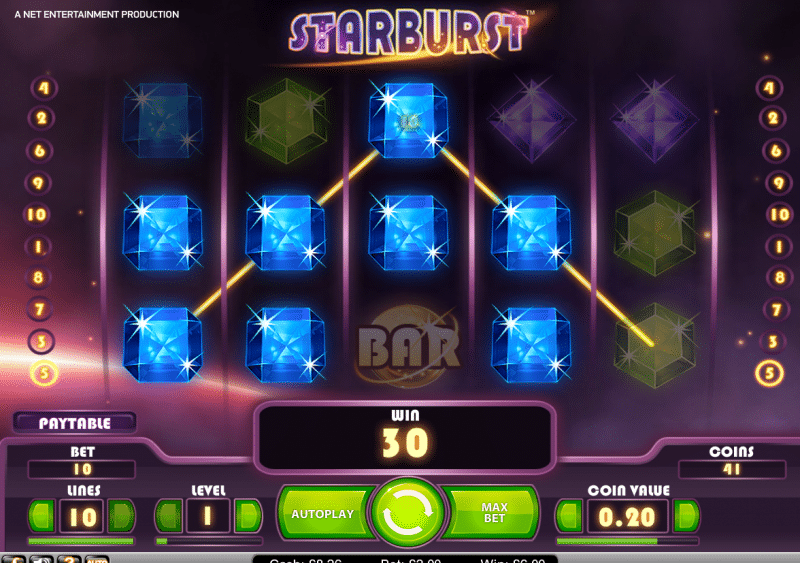 Included in the platform are titles such as Starburst, Rainbow Riches, Da Vinci Diamonds and Cleopatra. 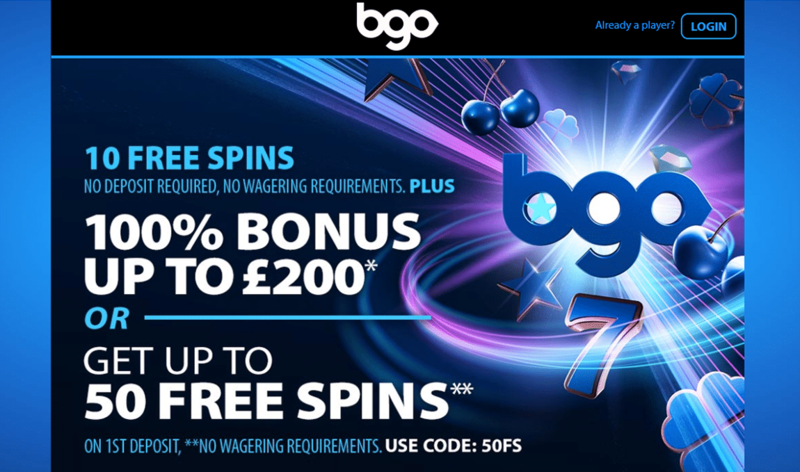 To put it simply, we can’t think of a much better place to play slots online, as such if you like a few cheeky spins of the reels, Bgo will be a must for you. 10 FREE SPINS with no deposit required. Get a 100% bonus worth up to £200 or up to 50 free spins on your first deposit. Superb software implementation and a huge selection of fun games. One of the best mobile games apps in the industry. No Deposit Offer: 10 free spins with no deposit needed. Welcome Bonus: Choose either a 100% match bonus worth up to £200, or up to 50 free spins. 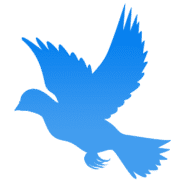 Minimum Withdrawal: £0 (£2.50 fee). Free Bingo: Make your first deposit and get 7-days access to the Beginner's Luck Room for free games. Social Profiles: Facebook, Twitter, YouTube and Google+. UK Gambling Commission: License 39533. Sister Sites: Power Spins, Gala Bingo, Betfair Bingo and Paddy Power Bingo. Bgo has really upped the ante by transferring to market leading software provider Virtue Fusion. They didn’t just settle there, they launched with 6 unique bingo rooms on top of that and integrated their own 10 free spins no deposit and lucrative 100% match bonus into the platform. The result is a site that not only has a huge selection of fun games (in both the bingo, casino and slots department) but also provides industry beating bonuses and promotions. There is also a superb VIP club called the Candy Club which will give you access to some extra freebies and great jackpot games, plus the mobile app provides amazing functionality, with little to complain about. So taking all that into consideration, it’s quite obvious that Bgo is up there with the best bingo sites around. We recommend that you get started today and claim your risk-free 10 spins offer and then make sure you grab your match bonus. It really is a top-tier offering and should definitely be looked at today!